An Optimal You is California’s #1 Thyroid Hormone Replacement Therapy Clinic and Anti-Aging Center in Murrieta, California. We strive to provide our patients with the best care, so we can ensure they live their lives at optimal levels. Here at An Optimal You, we sit our patients down and go through what we like to call the wellness circle. The wellness circle is comprised of diet, exercise, sleep, mind, toxins, supplements, and hormone balancing. Getting your body’s hormones balanced is one part of optimal health, but not the complete answer. Our team of practitioners is extremely knowledgeable and experienced in thyroid hormone therapy. We guarantee you will be satisfied with the results you receive. Interested in scheduling a consultation? Give us a call today (951) 461-3021. Our medical professionals love helping and educating both new and existing patients. We believe the more educated you are about your health, the more you will realize how important these treatments will be for your body and your livelihood. Call us to schedule your consultation today. Located in the neck, just below the larynx, the thyroid gland takes iodine from the food we eat to converts it into hormones. These hormones control the growth of bones and many other functions in the body. It is unique due to its butterfly shape and is the largest gland in the neck. 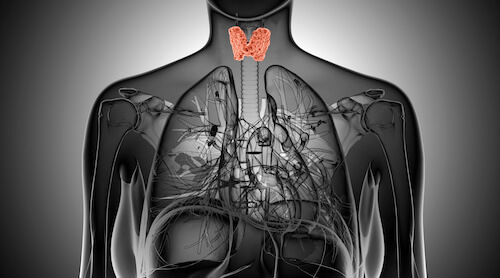 Thyroid disease is more common than heart disease or diabetes. Women are five times more likely to suffer from hypothyroidism than men are. The American Thyroid Association (ATA), noted that 12 percent of the U.S. population will develop a thyroid condition during their lifetime. That statistic means that nearly 20 million Americans have some form of thyroid-related disease and up to 60 percent are unaware of their condition. With these types of statistics, don’t wait to schedule your consultation! Ready to schedule a consultation? Give us a call at (951) 461-3021. We are happy to answer any questions you may have. A unique feature we offer our patients is each time you visit us, we not only cover the current reason you are visiting the office, but we discuss your overall health at each visit as well. For our patients to live their best life, everything in their body needs to be working at optimal levels. As California’s #1 Hormone Replacement and Anti-Aging Center, we pride ourselves on the outstanding level of service we provide our patients. From listening to your signs and symptoms, to taking all necessary steps when diagnosing and treating those signs and symptoms. We are your one stop shop when it comes to hormone balancing and anti-aging. For more information please call our office at (951) 461-3021 or fill out the form on this page. Don’t wait until it may be too late to treat your symptoms. Contact An Optimal You for a consultation today!